Are you gritty enough for non-agency loans? Non-agency loans are not the same as sub-prime, you hear. Non-agency is not risky, you hear. While the non-prime lending market is growing quickly, it’s not a given that most originators know how to do these products—or even that they want to learn. In fact, Dennis Colon, regional vice president of sales with Angel Oak Mortgage solutions, has categorized originators into three categories when it comes to non-agency products: Wanna do it, gotta do it, won’t do it. The biggest segment of these are originators in the ‘gotta do it’ category, who either see the potential in the space or have to do it because it other types of business are slowing down. Whatever the reason, he and Eric Morgenson, vice president of Business Development, explained to originators at AIME Fuse what type of borrower benefits from non-agency loans, and how to find them. There isn’t one type of borrower who fits into the non-agency box; instead, think of it as all of the borrowers who fall outside of the A-paper, conforming loan box. One large category of these borrowers are those who are self-employed. Another large segment of borrowers who could benefit from non-agency loans are those who are credit challenged and/or are in need of debt consolidation. They may have a first mortgage with a high interest rate because they had poor credit and weren’t able to take advantage of the refi years. Between car loans, credit card debt, maybe even an unsecured loan that have severely dinged a borrower’s credit, they could be looking at interest rates in the 20s and 30s, even though they’ve never been late on a payment, Morgenson said. Angel Oak uses risk-based pricing and can reduce monthly payments as long as the borrower isn’t getting more than 2% cash in hand. They are, he said, true debt consolidation loans, not cash out. Identifying these borrower categories is pretty simple, but finding the actual borrowers is much harder—or is it? It’s not as if people wear a badge declaring ‘I have a 500 credit score!’ or ‘I’m still paying 8% on my mortgage!’ But Morgenson advises originators to use the tools they already have to get access to these borrowers: referral partners. Plenty of borrowers don’t reach out because they think it’s hopeless, and when they do enquire, they’re sometimes stopped at the first line of defense, which is often referral partners—realtors, builders, CPAs. Originators who educate their partners will see more loans. In other words, go straight to the big banks. Banks can’t do these loans, so when a borrower comes in who is self-employed, who has impaired credit, who has a recent foreclosure, they’re rejected right out of the gate. 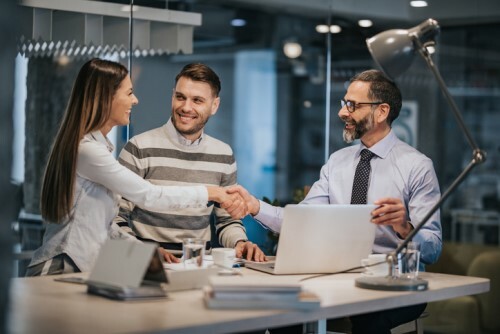 If a broker forges a relationship and gains the trust of these loan officers, though, there’s a chance that the loan officer would send the borrower to the broker for a non-agency loan. Colon added that these are some of the safest, best performing loans in the marketplace today, and that Angel Oak’s underwriters work for the fund so there is never a second or third signature required. If they say yes, it’s approved; there’s no back and forth or nasty surprises once the loan is clear to close and that, he said, makes a big difference when it comes to an originator’s reputation in the marketplace. Are you scared of non-prime loans?